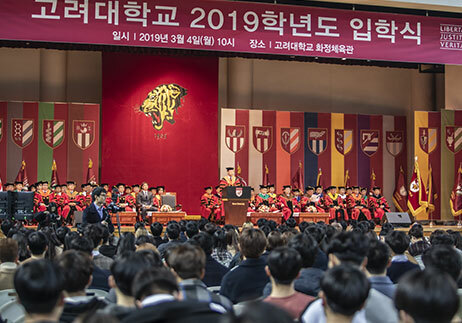 Korea University held its 111th graduation ceremony in the Tiger Dome at 10 a.m. on Saturday, February 24, 2018. 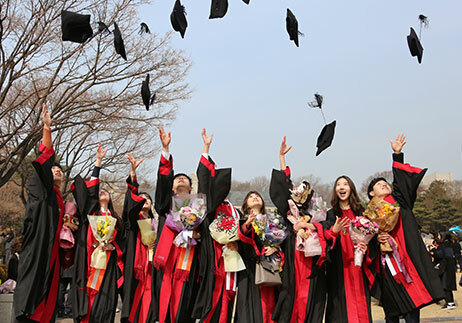 4,367 undergraduate and 2,124 graduate students received their degrees at the ceremony. 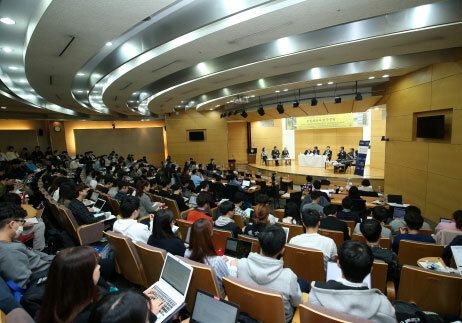 He also remarked that “You the KU alumni have cultivated the KU values of Liberty, Justice, and Truth in addition to what you majored in, which fulfills the needs of this century and the world. I hope you make your dreams come true. I am, as your teacher and fellow graduate of KU, certainly proud of you, but also concerned for you – just as parents whose kids leave them. Now you go ahead and deal with pressing matters as pioneering intellectuals. And keep in mind that life is not a solo project, but more of a group project. 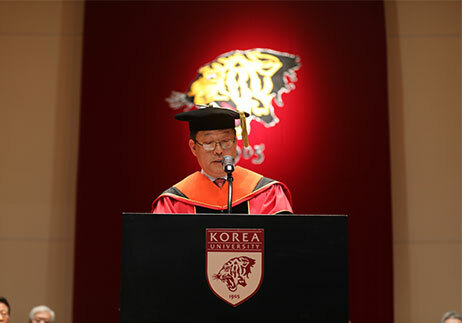 Never be selfish, and contribute to society with the slogan “Gong-Seon-Sa-Hu (公先私後; Putting the Public Ahead of Personal Gain),” quoting an African saying “You can go fast alone, but you can go far only when together.” President Yeom also encouraged the graduates to thank their families and professors, friends, and other beloved ones and wished all the best for them. 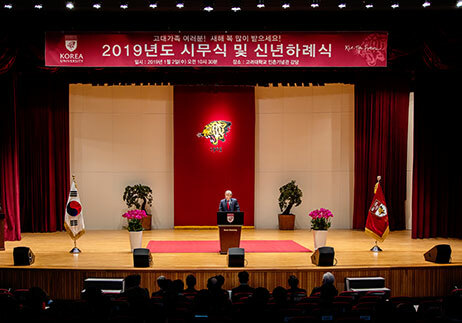 In celebration of its 111th Anniversary in 2016, Korea University created a symbol for each college that reflects its history, traditions, values, icons, and names. 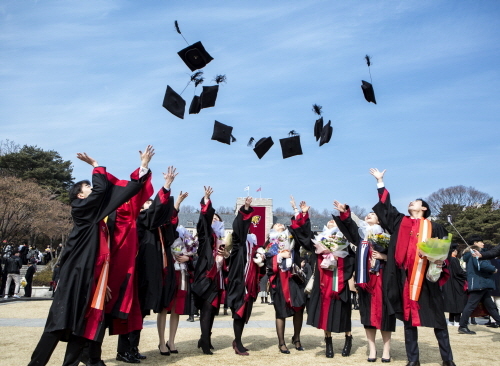 Since 2017, Korea University distributed stoles to graduates that bear these symbols.